Here he reports on his findings. 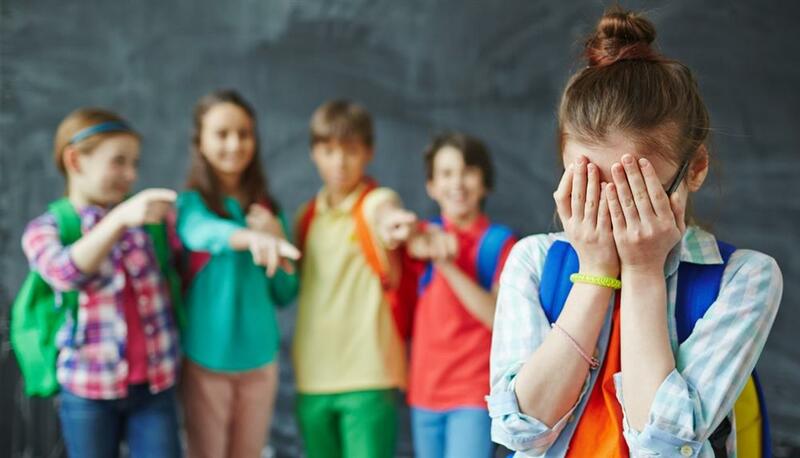 Bullying can take a variety of forms, from the verbal - being taunted or called hurtful names - to the physical - being kicked or shoved - as well as indirect forms, such as being excluded from social groups. A survey I conducted with Irene Whitney found that in British primary schools up to a quarter of pupils reported experience of bullying, which in about one in ten cases was persistent. There was less bullying in secondary schools, with about one in twenty-five suffering persistent bullying, but these cases may be particularly recalcitrant. Three factors are involved in this change. First is an awareness of the severity of the problem. Second, a number of resources to help tackle bullying have become available in Britain. For example, the Scottish Council for Research in Education produced a package of materials, Action Against Bullying, circulated to all schools in England and Wales as well as in Scotland in summer 1992, with a second pack, Supporting Schools Against Bullying, produced the following year. In Ireland, Guidelines on Countering Bullying Behaviour in Post-Primary Schools was published in 1993. Third, there is evidence that these materials work, and that schools can achieve something. This comes from carefully conducted ‘before and after’ evaluations of interventions in schools, monitored by a research team. In Norway, after an intervention campaign was introduced nationally, an evaluation of forty-two schools suggested that, over a two-year period, bullying was halved. The Sheffield investigation, which involved sixteen primary schools and seven secondary schools, found that most schools succeeded in reducing bullying. Other actions can be taken to back up the policy. There are ways of dealing with the topic through the curriculum, using video, drama and literature. These are useful for raising awareness, and can best be tied in to early phases of development, while the school is starting to discuss the issue of bullying. They are also useful in renewing the policy for new pupils, or revising it in the light of experience. But curriculum work alone may only have short-term effects; it should be an addition to policy work, not a substitute. There are also ways of working with individual pupils, or in small groups. Assertiveness training for pupils who are liable to be victims is worthwhile, and certain approaches to group bullying such as 'no blame’, can be useful in changing the behaviour of bullying pupils without confronting them directly, although other sanctions may be needed for those who continue with persistent bullying. Choose the coned Idler, A, B, C or D.
Write the correct letter in boxes 5-8 on your answer sheet. B find it more difficult to relate to adults. C reflected the school’s lack of concern. 8 What were the findings of research carried out in Norway? B Twenty-one schools reduced bullying as a result of an anti-bullying campaign. D Bullying is a less serious problem in Norway than in the UK. The most important step is for the school authorities to produce a 9 which makes the school's attitude towards bullying quite clear. It should include detailed 10 as to how the school and its staff will react if bullying occurs. This is particularly useful in the early part of the process, as a way of raising awareness and encouraging discussion. On its own, however, it is insufficient to bring about a permanent solution. Effective work can also be done with individual pupils and small groups. For example, potential 12 of bullying can be trained to be more self-confident. Or again,in dealing with group bullying, a 'no blame' approach, which avoids confronting the offender too directly, is often effective. Write the correct letter in box 14 on your answer sheet. Which of the following is the most suitable title for Reading Passage 3? B Bullying: arc the media to blame?